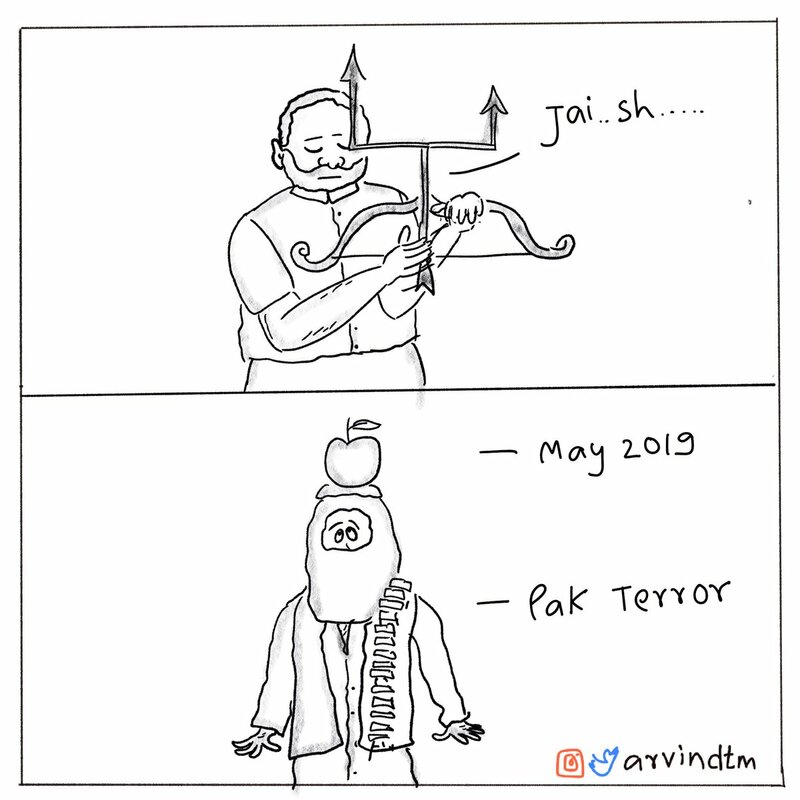 Aravinda Tegginamath suggests that with IAF’s airstrike Tuesday taking down Jaish-e-Mohammed terror camps in Pakistan’s Balakot, the Modi government has taken a shot at Lok Sabha elections while targetting terror at the same time. 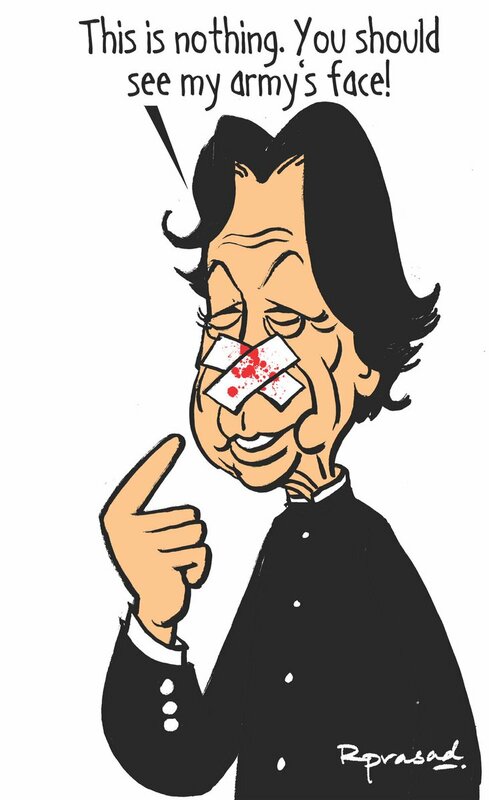 Kirtish Bhatt shows Pakistan Prime Minister and former cricketer Imran Khan calling IAF’s airstrike a “no ball” as Pakistan dismissed India’s claims of striking JeM camps in Balakot. 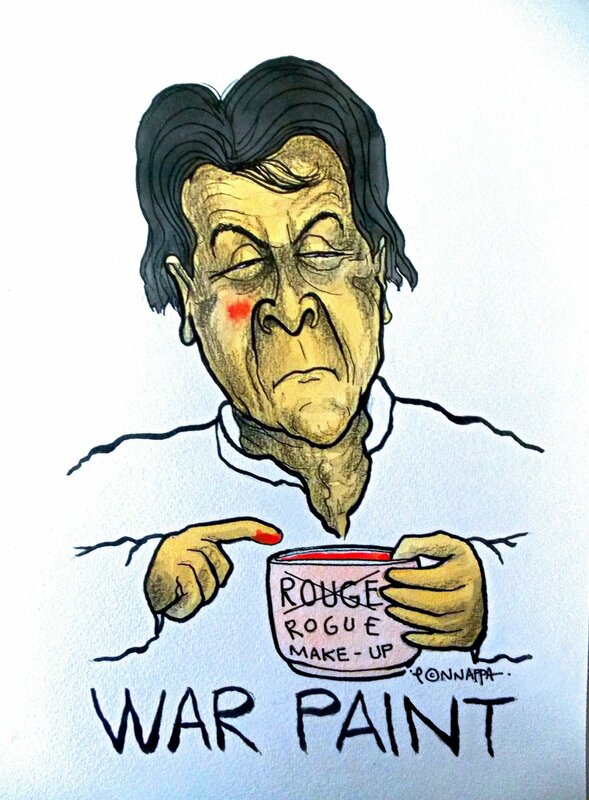 Nala Ponnanppa depicts Pakistan Prime Minister Imran Khan applying a “rogue” war paint as he tries to cover IAF’s sting on his face. 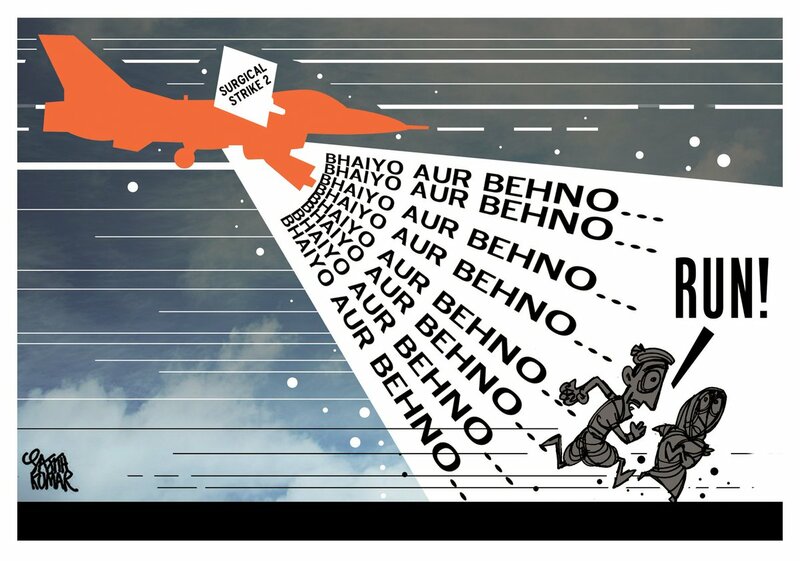 As Prime Minister Narendra Modi gears up for elections after airstrikes, Sajith Kumar takes a jibe at the PM shown here as addressing voters from a fighter jet. 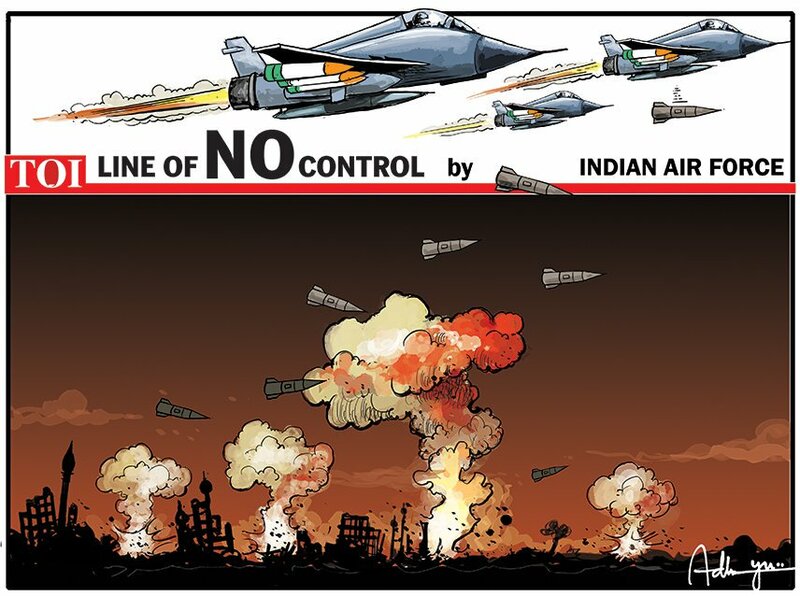 Sandeep Adhwaryu plays with his column title, ‘Line of Control’, after IAF fighter jets struck JeM terror camps in Pakistan’s Balakot, crossing the LoC for the first time since 1971. 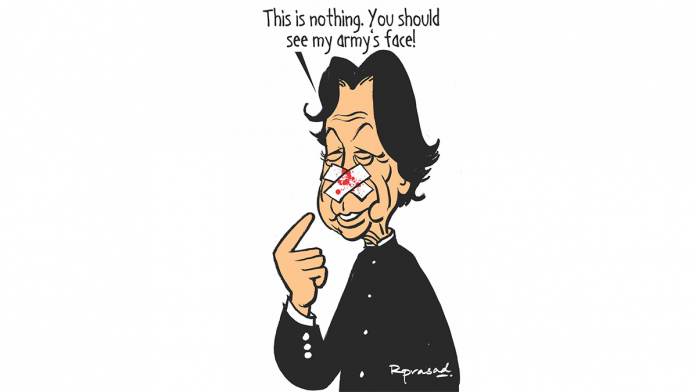 R. Prasad illustrates Pakistan Prime Minister Imran Khan and the his Army’s situation after the Indian strikes. 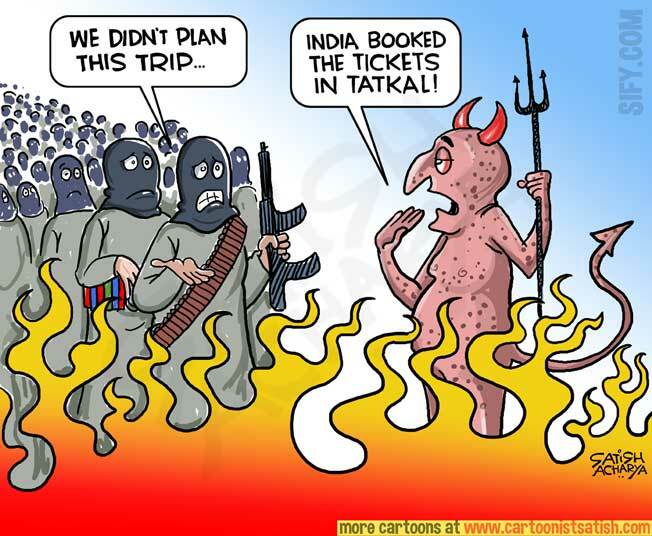 After the IAF strikes, Satish Acharya depicts JeM militants at the gates of hell, encountering the devil.